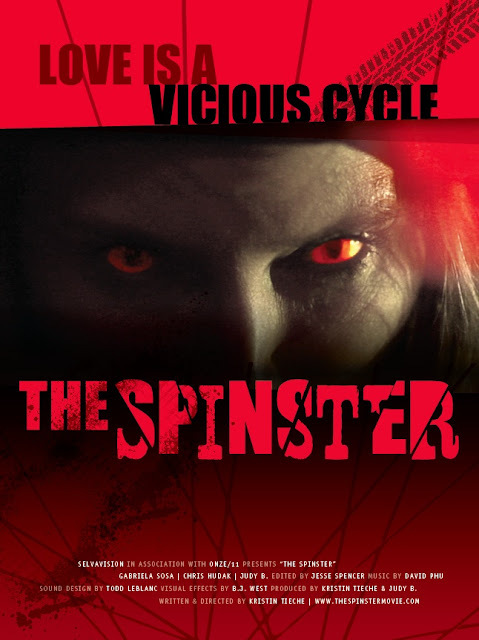 The Spinster official poster designed by Jessica Meek. I'm off to Portlandia tomorrow morning to attend Filmed By Bike film festival. My indie short horror film on bikes, The Spinster, will have its World Premiere in the City That Knows How to Bike. I couldn't have asked for a better premiere. If you're in P-town, grab some tickets and come root for The Spinster, and stick around for a Q&A avec moi, yours truly, Ms. Director. And come meet cast and crew, Gabriela Sosa (lead actress) and judy b. (co-producer and supporting actress). P-Town or BUST! It's red carpet time!